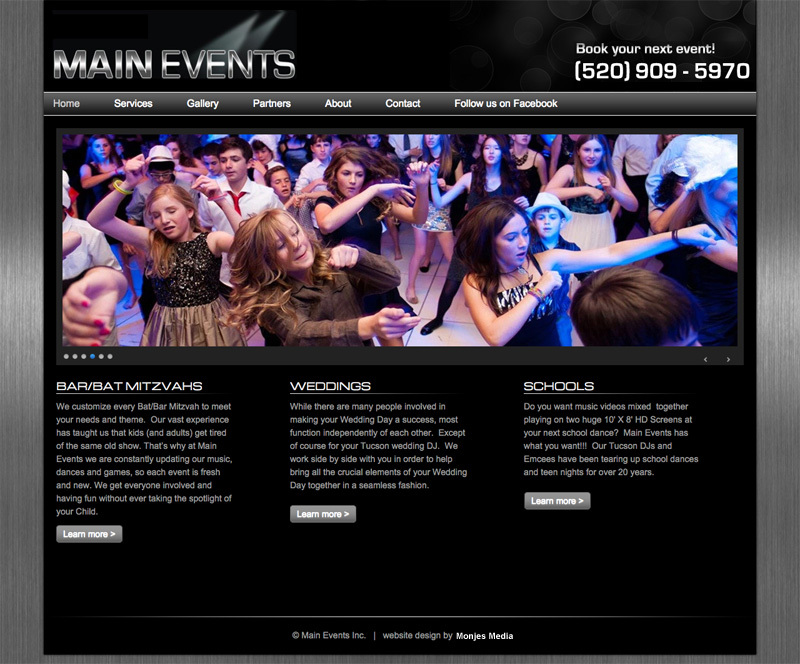 Main Events is an entertainment company located in Tucson, AZ. When they approached me asking for help with their online presence, I was eager to help. Main Events wanted to position themselves as the company that bridged the gap between the "Club DJ" and the "Mobile DJ" experience. After assessing their needs, we decided to build the site in WordPress using the Genesis theme. To capture the "Club" feel, the site was designed using a dark color palette with a brushed steel background. The site features a slideshow on the homepage along with more in depth information as the user navigates the interior pages. Note: Since launch, the client has taken over site, thus the design may vary slightly from my original design.